Consider This Before Choosing Your New Garage Door Opener! Many homeowners don’t realize not all garage door openers are the same and that they should seriously consider which one is best for their garage. There are as many different garage door opener types as there are different garage doors. In this article the experts at the leading garage door opener repair in San Diego list the most important factors you need to consider before choosing a new garage door opener. Does The Garage Door Opener Fit Your Needs? The first thing to consider is the location of your garage door. 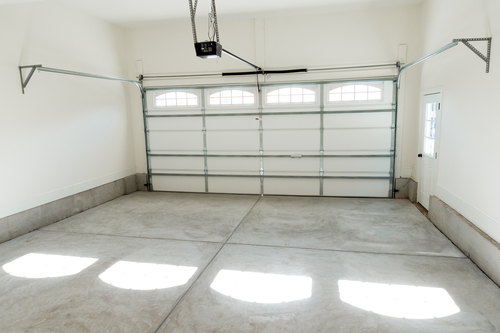 Is your garage a part of your home or a separate entity? Are the door facing the street or the backyard? Are there any rooms above the garage? True, these things might seem trivial when choosing a piece of equipment such as a garage door opener. But let’s take the last mentioned question into account. If there’s a room above your garage you will want to get a quiet garage door opener. How Much Space Do You Have above the Door? If your home is old and your garage modeled without taking into account the space electric garage door openers occupy, you may want to measure the available space above your garage door before choosing a right opener. For the opener to function properly you need to have at least two inches of available space above the door. Don’t despair if you don’t as there are numerous alternatives. Just contact our team and we’ll find the one that best fits your garage. Many homeowners with a cathedral or sloped ceiling come to us asking whether we can install a garage door opener in these conditions. While the trolley-style opener can be added the length will vary depending on how high your door are. Adding a garage door opener with this type of ceiling is a challenge, but one our technicians will easily overcome. In most cases we recommend adding a garage door opener variant that’s mounted on the side called the jackshaft opener. It is a great alternative to traditional openers as it has all the features of a standard trolley-type garage door opener. What Additional Accessories Do You Need? Garage doors of today are equipped with an array of accessories meant to make your life easier. Just like cars, garage doors come with additional features which may be just the thing you were always looking for. There are different types of accessories for each type of opener and you are sure to find the best one for your needs. One popular addition is the inclusion of a photoelectric system alongside a mechanical one. Others include two different reversal systems, Wi-Fi connectivity and more. Looking for Reliable Garage Door Opener Repair in San Diego? If you need your garage door opener repaired or replaced, do not hesitate to contact RockStar Garage Door Services at 619-930-9854. With more than 15 years serving the San Diego County we have built a reputation for being the go-to garage door repair service. If you have any questions or need help determining if a garage door opener is a good fit for your garage, don’t hesitate to get in touch with our friendly agents. Next Next post: How To Operate Your Garage Door When the Power is out?